The new year could bring with it a mix of freezing temperatures, rain, fog and possibly a light freeze. Today, the temperatures will be in the high 60s to possibly the lower 70s and will remain that way through Sunday morning. 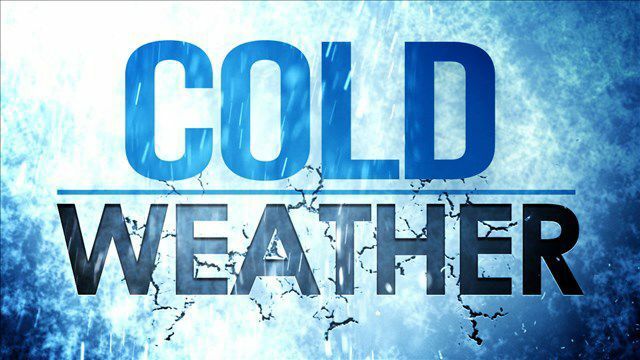 The National Weather Service in Brownsville says the fifth cold front of the month should arrive New Year’s Eve. “An arctic air mass will arrive Sunday afternoon and evening across deep South Texas and the Rio Grande Valley, turning weather decidedly colder Sunday night through the middle of next week,” National Weather Service Lead Forecaster Brian Miller said. When the front moves through the Valley and into northern Mexico, it is possible that at midnight, as New Year’s Eve celebrations are taking place, the wind chill, or feel-like temperatures, could range from the mid-40s along the coast, to upper 30s in the mid Valley and upper 20s in the ranchlands of the western part of the Valley. New Year’s Day, the temperatures will remain in the 40s, but the wind chill will be in the 20s and 30s across the Valley throughout the day. “Residents with tropical vegetation should have tarps, coverings, etc.… ready in case freeze warnings are issued,” NWS Warning Coordination Meteorologist Barry S. Goldsmith said. The temperatures on Tuesday and Wednesday morning will be in the low 30s, with some forecasts calling for freezing drizzle and light sleet in Starr, Zapata, Brooks and Jim Hogg counties both days. Tuesday’s highs will be in the mid-40s, and Wednesday will reach into the low 50s. Goldsmith says boaters should remain in port because of increasingly dangerous waters. The light rain and drizzle could once again cause a problem for pelicans on the Queen Isabella Memorial Bridge, Bahia Grande and Gayman Bridge area on Highway 48 east of Brownsville.